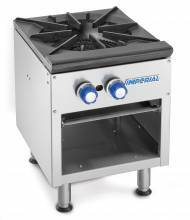 Single Gas Range with 100,000 B.T.U. 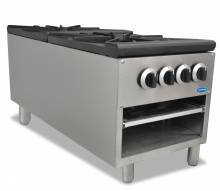 Double Gas Range with 200,000 B.T.U. A stock pot stove is a great way to maximize on limited space, as they take up less space than a commercial gas range. 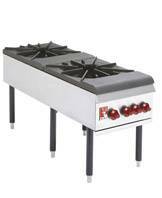 Zanduco stock pot stove and burners are easy to convert between natural gas or LP gas. 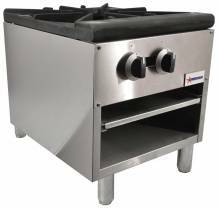 Available with 1 or 2 burners, a stock pot range is a great addition to your food establishment, where large Stock Pots are required to make pastas, soups, sauces and more! A space-efficient and easily-portable piece of equipment, perfect for institutional or commercial use!